Christmas is done, and the New Year is almost upon us. We had a quiet Christmas up at my mother-in-law’s place in Maldon, where we ate loads of lovely food, W gorged herself on homemade chocolate biscuits, and we enjoyed the array of weather that Victoria has to offer – sweating in shorts one day and rugged up in scarves the next. We’re back down in Melbourne now hanging out with friends and family for another week of holidays and eating and chatting and beers and playgrounds and coffee and all kinds of nice things. I was talking with a friend recently about my favourite reads and realised that too many of them are written by old white guys. Given that I know there are many, many women out there writing interesting, amazing, challenging work, the least I can do is make the effort to find it. And read it. I’ll come at you with some recommendations in the new year, but in the meantime I want to leave you with a list of some of my best reads of 2015. Some are old, some are new, all of them are great. And now from books to food, because the two are of course the greatest of companions. I wouldn’t normally post two sweet recipes in a row, but this one is an ideal way to use up leftover cakes or cookies from Christmas (I made it using the domes that I cut off of this cake). 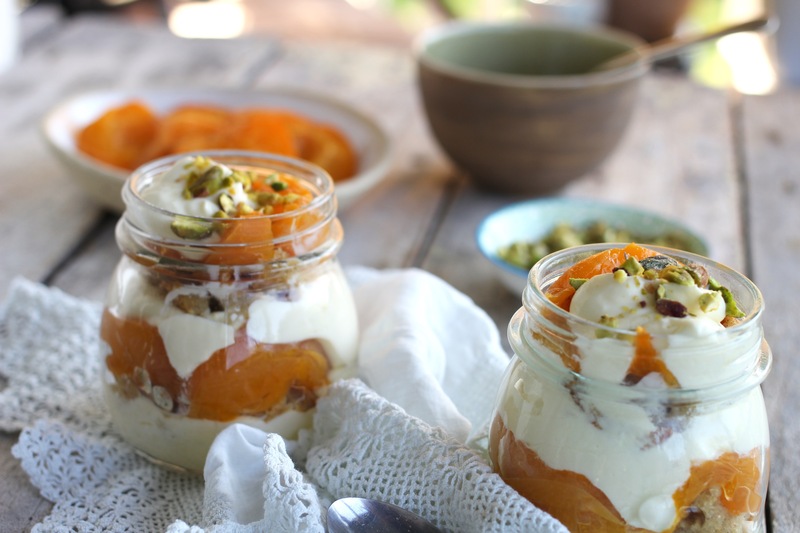 If you don’t have apricots you could easily replace with peaches or nectarines (or perhaps pear or apple for those of you in the other hemisphere). Otherwise this simple Eton Mess(ish) is decadent in all the right ways – the yoghurt gives the cream a sour tang which pairs beautifully with the sweetness of the cake and fruit, and the nuts add just a hint of texture. 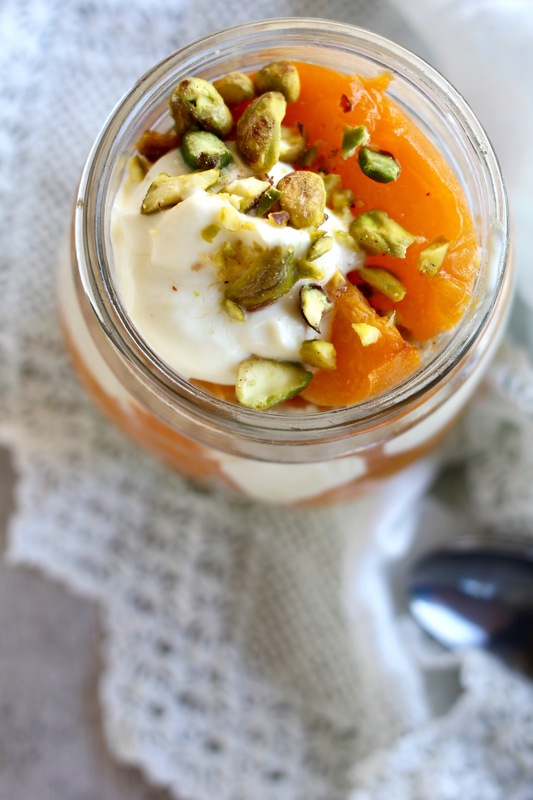 Halve the apricots and remove the seeds. Lay cut-side up, single layer, in a baking dish. 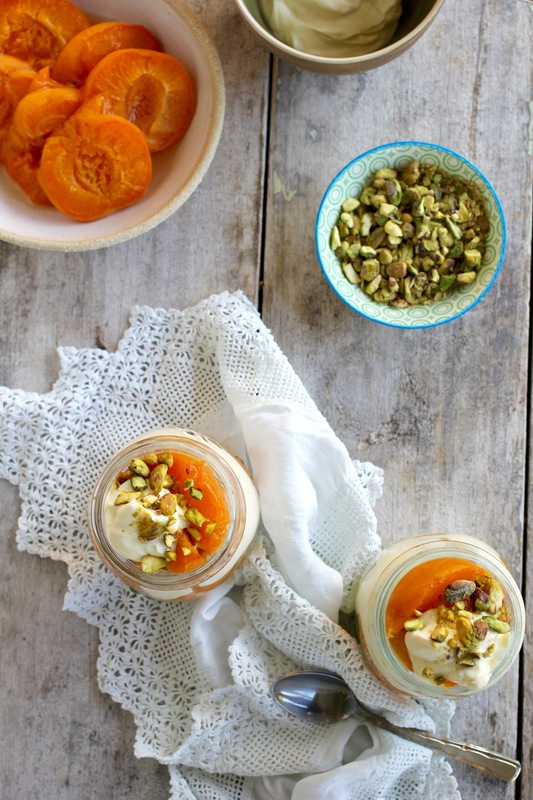 Drizzle the apricots with the honey (whisk a drizzle of water through the honey if it is too thick to drizzle). 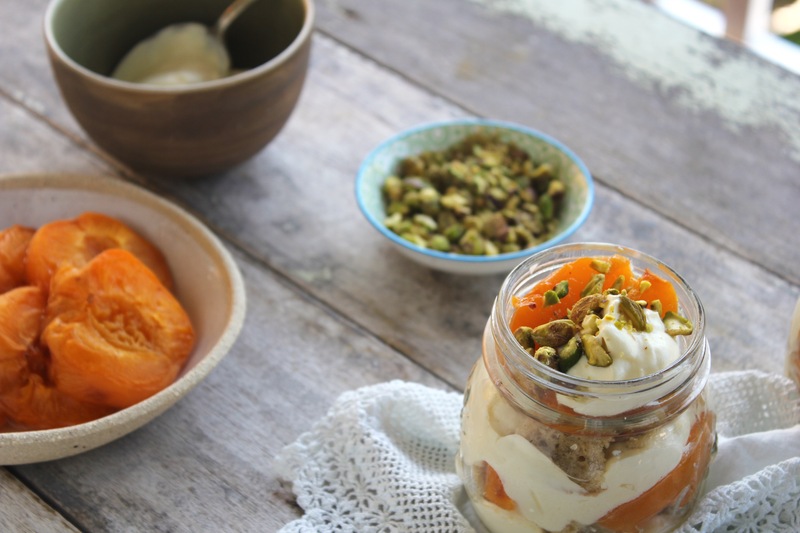 Bake for 15 – 18 minutes, until apricots are soft but still holding their shape. Set aside. Combine the yoghurt, cream, and blossom water in the bowl of a mixer. Whip until firm peaks appear in the cream. 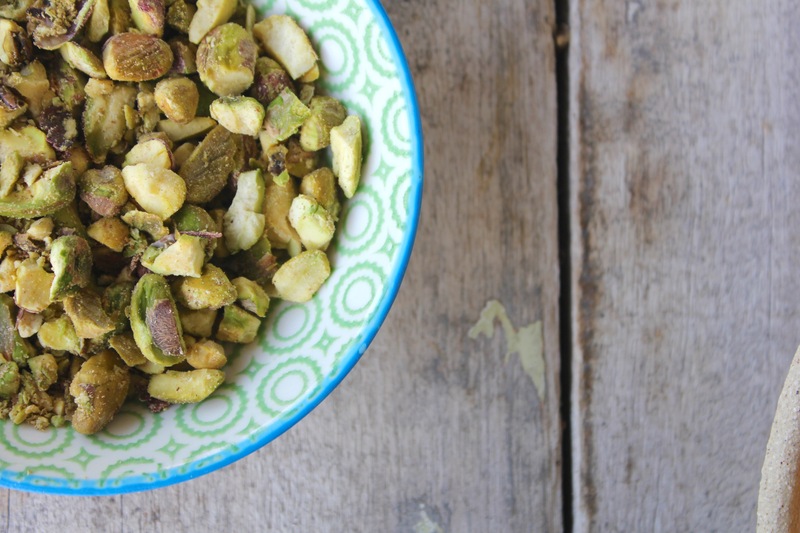 Roughly chop or crush the pistachio nuts. 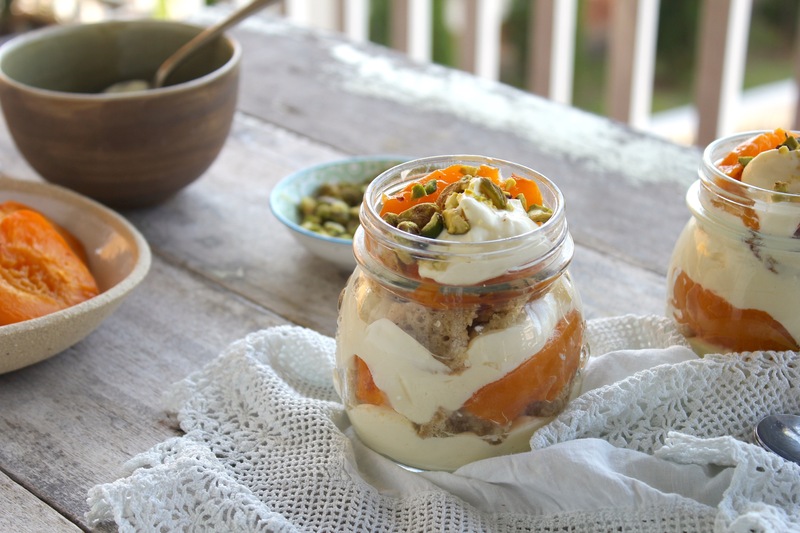 In the bottom of two medium-sized jars, bowls, or glasses, put a generous dollop of the whipped cream. 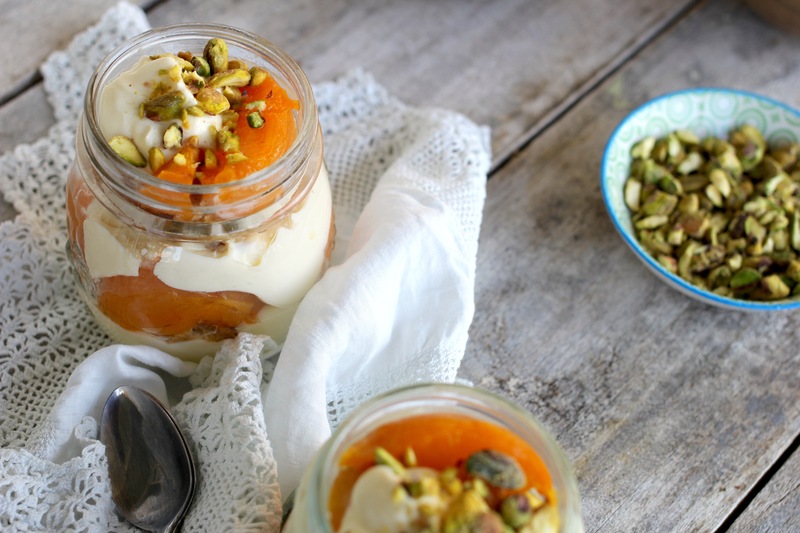 Top with a layer of cake/cookie shards, then a layer of apricots, then a sprinkling of pistachios. 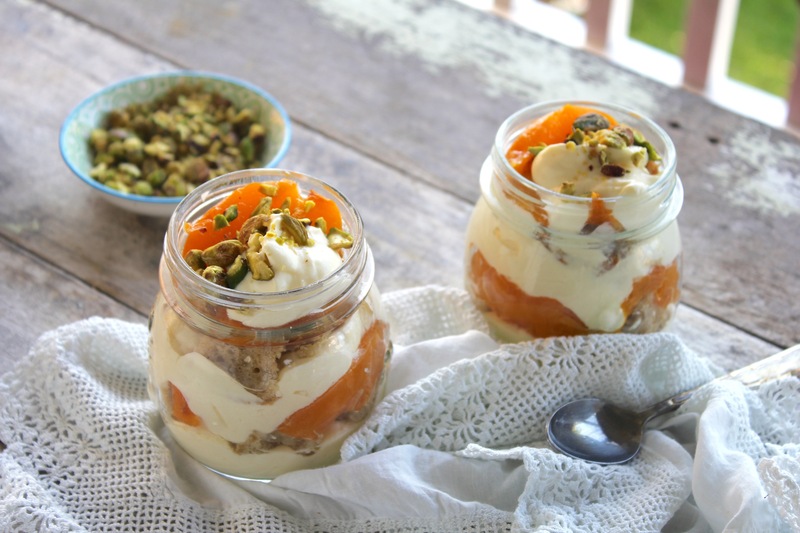 Keep layering until the jars are full, being sure to finish up with a final dollop of cream and sprinkle of nuts. Lemon & walnut linguini with roasted broccoli recipe… Question… The lemon rind, how is it prepared? Zest, grated, sliced, whole rind? Hi Vickie! Thanks for getting in touch – I either zest or finely grate the lemon rind for both the linguine and the broccoli. Apologies for the lack of clarity in the original post, I’ve updated it now. 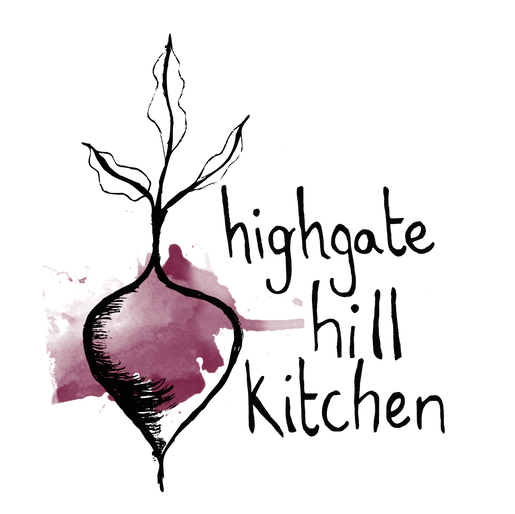 If you do make the linguine please let me know how it goes, either here or via my social media pages. Happy cooking!